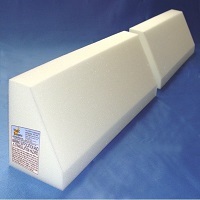 Magic Bumpers are foam wedges designed to go under the bedding as a safer and easier alternative to traditional bed rails. This product has passed testing for ASTM Portable Bed Rails, and is Lead and Phthalate free. Sufficient for both sides of the bed.